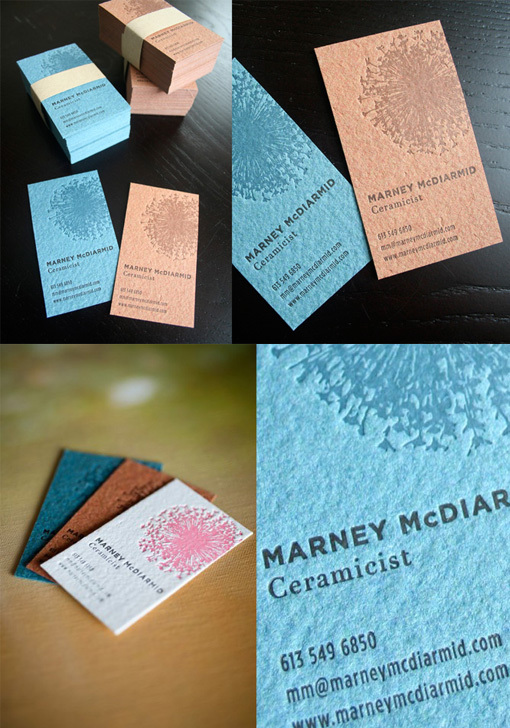 These cards were designed for a ceramic artist who presses natural and man-made objects into her work to create beautiful textures. Letterpress printing creates a similar textured impression so these cards reflect well the type of creative work this artist makes. The cards also demonstrate that a great deal can be done with just a two colour palette. By varying the card stock and using a few different combinations of the two colours an extensive range of cards was created.